Chef'd Introduces Dessert Meal Kits with Hershey's! Do you love baking and making desserts (like me!) but hate the grocery shopping part of it??!! That is totally me! I HATE grocery shopping and I hate forgetting something when I am ready to bake! I just want to be able to make the dessert I am craving at the moment I have the time! And now I can with Chef'd! Chef’d, the first and only online meal kit marketplace, today announced a partnership with The Hershey Company to add the confectionery leader’s iconic desserts to its growing meal kit offerings. 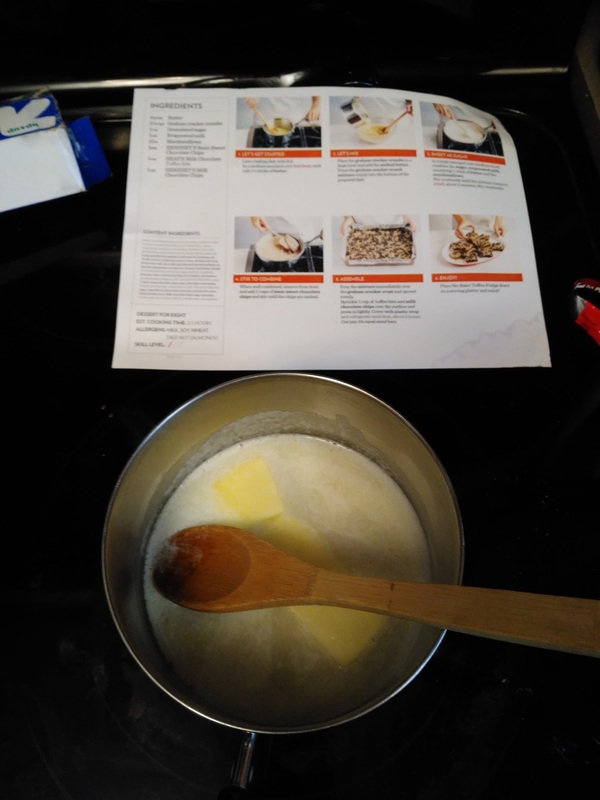 The partnership marks the launch of the desserts category for Chef’d as well as the first time branded desserts enter the online meal kit market, giving customers the ability to purchase desserts from HersheysKitchens.com and Scharffenberger.com. These new meal kits make dessert preparation easier and more enjoyable than ever, as online shoppers will receive pre-portioned ingredients and simple instructions to create delicious desserts, created by the celebrated chocolate experts. Chef’d is widely regarded as having revolutionized the meal kit delivery business through the company’s level of choice, re-ordering flexibility, and helping existing brands enter the market. Consumers will be able to order these dessert meal kits on HersheysKitchens.com, Scharffenberger.com, and Chefd.com, when they want, without a subscription or membership fees. 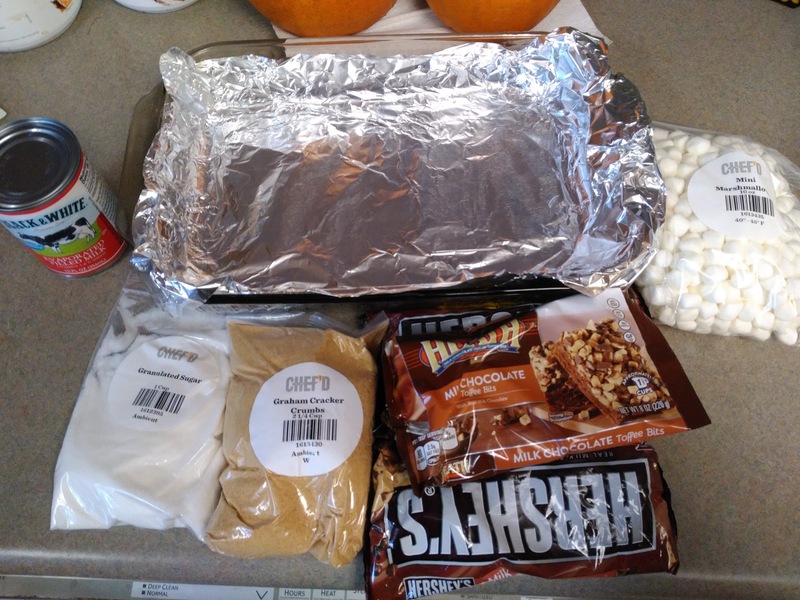 I LOVED the desserts I got to make with the easy to make instructions and pre-portioned ingredients from Chef's - my favorite being the No Bake Fudge Toffee Bars. They were SO easy to make and were a huge hit with the whole family and everyone who visited! I didn't have to worry about whether I had all the ingredients on hand - I KNOW I did because Chef'd sent them all in one package! No fuss, no worries! 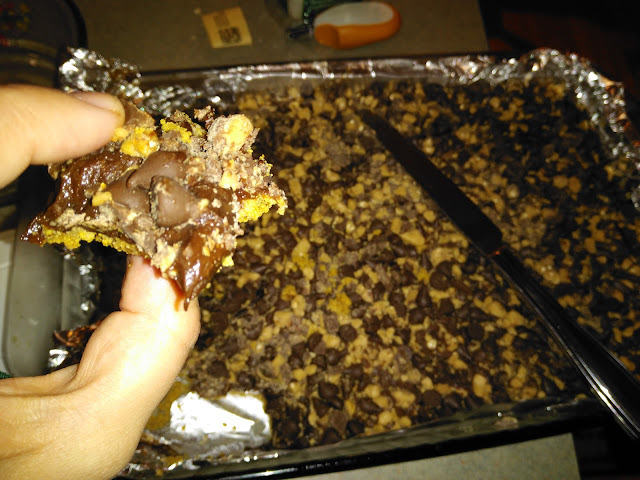 I was able to whip up this recipes in minutes and Hershey's definitely provides the sweetness and ooey gooey goodness! I am not a professional photographer so these definitely don't look as good as they were! But these were melt-in-your mouth deliciousness WITHOUT all the stress of grocery shopping and searching through the cupboard! I just grabbed out my Chef'd package and away I went making this delicious dessert! It may have been my most enjoyable dessert making experience I have ever had! You can purchase all Dessert kits from Chef'd from their online store.